Note: I am reviewing this film in full even though it’s a modern film, because I have a goal to watch more animated films. Reviewing them will give me incentive to watch more of them, haha! As a bonus (and on a somewhat unrelated sidenote), this is a French film, contributing to my goal of watching more world cinema as well. Living inside of an unfinished painting, Lola (Jessica Monceau) is considered a “Pafini” because the artist never finished painting her. Her friend Claire (Chloé Berthier), also a “Pafini,” is in love with Ramo (Adrien Larmande), one of the painting’s completed characters (“Toupins”). Pafinis are treated as second-class citizens within the painting, and their romance is forbidden. The Toupins don’t only discriminate against the Pafinis. They also hunt down the Reufs, who are only sketches. The Toupins believe that the painter completed them so they could rule over the world of the painting. Ramo disagrees with his people, and runs away from the castle after one of the Toupins gives a speech about Toupin superiority. Hopping on a boat with Lola and a Reuf named Plume (Thierry Jahn), he heads into the forest, where he hopes to find the painter and prompt him to finish all of the characters in the painting. 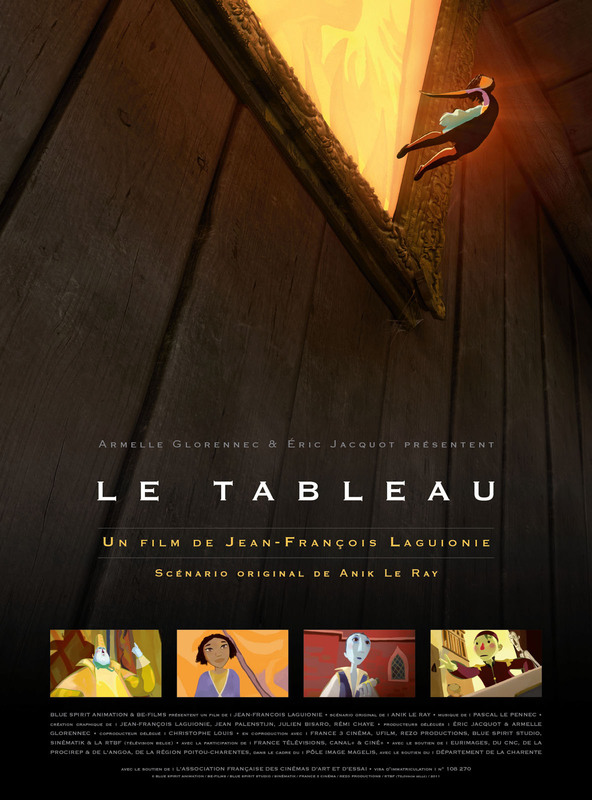 Le tableau, or in English, The Painting, was directed by Jean-Francois Laguionie, who also wrote the film along with Anik Leray. I was enraptured by this film from beginning to end. It tells a wonderful story, and does so very stylishly. The opening sets up a realistic society within the painting — not much different from that which we live in, where we divide ourselves by our social class, our race, our religions. An urge to fix the problems of this society is what drives the journey that Ramo, Lola, and Plume take, and this fact never leaves the viewer’s mind. But when they escape the painting and head out into the real world in search for the painter, the film does take on a much lighter mood, delivering a tale of pure adventure. They interact with characters in other paintings, attend a carnival in Venice, and search for the painter by gondola, among other excitements. The animation of the film is beautifully done. I love the way that the different “classes” of painted characters are portrayed, and the way that the textures of paint and canvas are detailed. 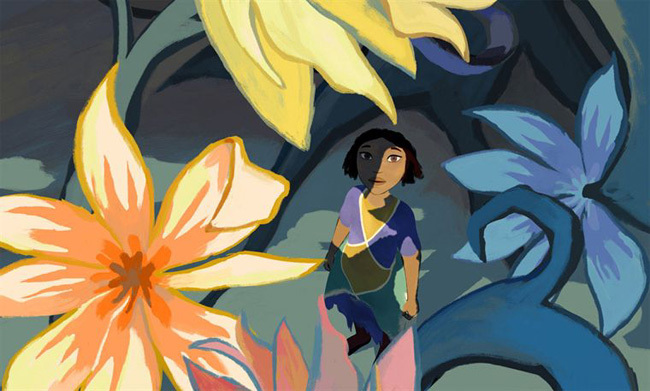 I’m not sure how this film was created — whether it was fully digital, or a blend of different techniques — but whatever the case, it captures the essence of painted art very well. The animation adds to the story and gives the film a sense of magic, rather than just being an avenue with which to tell the story. Haven’t seen or heard about this, but I have enjoyed just about all French animated movies I’ve seen. Intrigued by your review. Will seek this one out. I haven’t watched much French animation aside from this film and maybe one or two others, but I tend to enjoy French films in general, haha. Thanks for reading! I don’t think there’s been a whole lot of French animation that at least that has found an international market. I’m thinking primarily of the Chomet films, Persepolis, The Man Who Planted Trees, A Cat in Paris, and I think a few others.